Great discounts from businesses in your community, including dining, shopping, automotive and much more. Use the card to shop locally! Discounts on most prescriptions at over 60,000 participating pharmacies. To find a list of pharmacy locations, visit www.HealthySavings.coop or call 800-800-7616. If you know the strength and quantity of the medication, you can find the discounted price of the medication by visiting www.rxpricequotes.com. Discounts on eyeglasses, contact lenses, eye exams and LASIK. Discounts on dental care such as cleanings, x-rays, root canals, crowns, and orthodontics. PLUS, additional savings on chiropractic visits, lab tests, imaging scans and hearing aids. 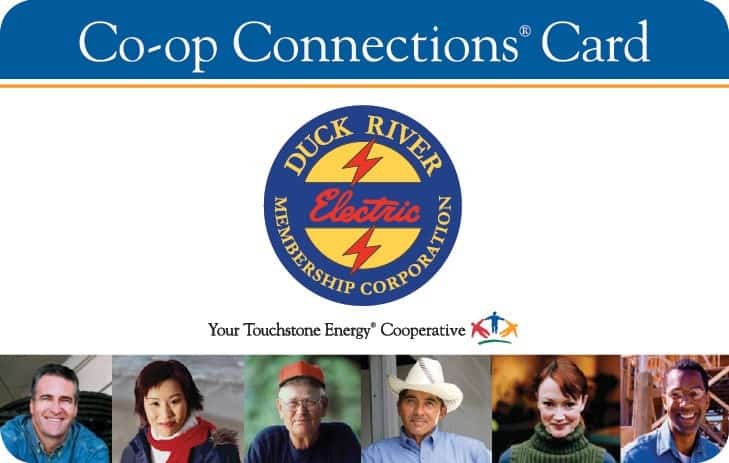 Click here to sign up for a printable version of your Co-op Connections Card. Refer a business! Any family-friendly, local business may be added to the program at any time. If you are a business owner that would like to be part of this exciting program or you frequent a business you’d like to refer, call 931-680-5880 or email gwarren@dremc.com. For convenience, please find below a link to our online Co-op Connections participation application. PLEASE NOTE: Discounts are NOT insurance and are NOT intended as a substitute for insurance. The discount is only available at participating providers. 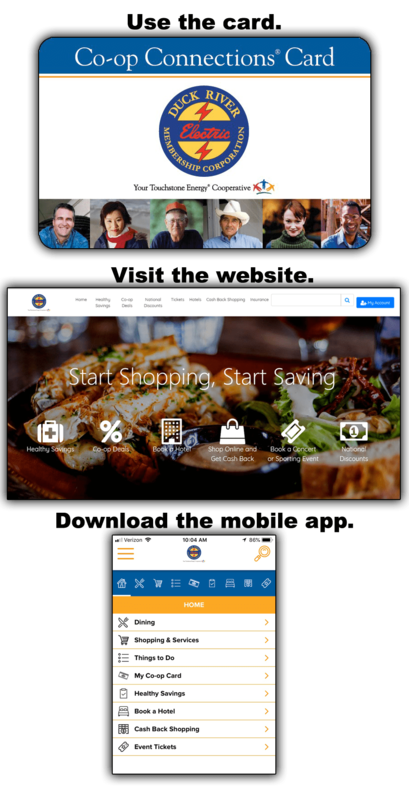 Learn how to get the most from using the DREMC Co-op Connections Card, mobile app and online discounts! Click here for 3 easy steps to get you connected to all the available local and national deals and discounts.